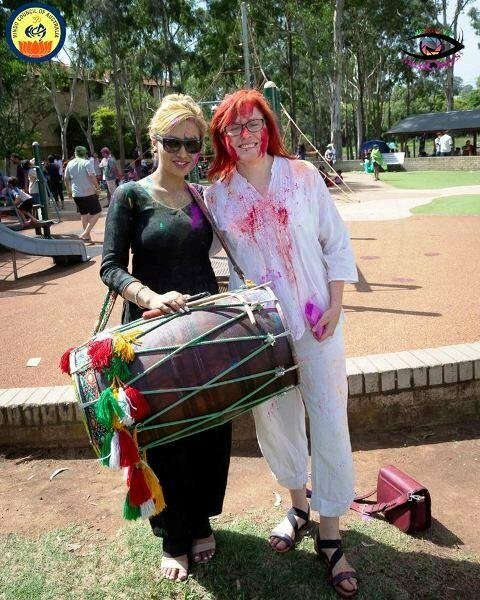 Hindu Council has been very active in NSW from its inceptions. Its featured activity is celebration of Diwali event every year which is attended by over 20,000 people every year. 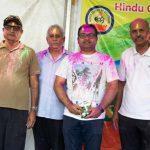 Here is a list of some of the main activities of the NSW Chapter of Hindu Council of Australia. Special Sri Rama Navami Promotion of Gold and Silver coins. $1 from every Sri Rama coin sold during April will be donated to Karma Kitchen, an initiative by the Hindu Council of Australia which provides free food to the homeless within the Parramatta region in NSW. 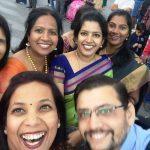 If you are a Hindu woman living in Australia, please take a minute to enter this survey. 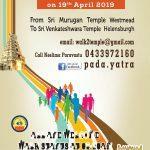 It will help Hindu Council of Australia to frame projects and policies to help you face these issues. 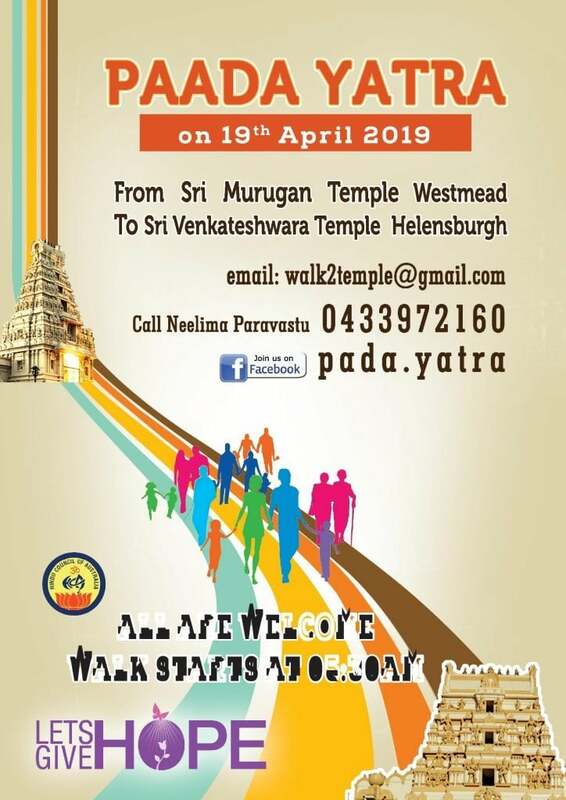 By: Hindu Council of Australia (NSW Chapter). 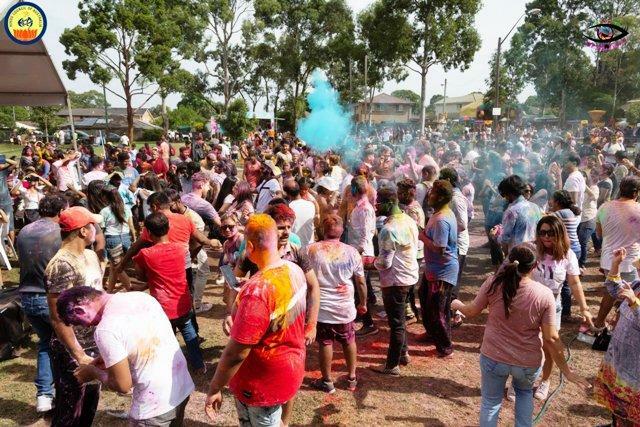 The Holi Festival, organized by Hindu Council of Australia (HCA) was celebrated at Civic Park, Pendle Hill in the city of Sydney on Sunday 24th March with great zeal and fanfare by approximately 8000 people. It was officially opened by Cumberland Hon. Councilor Suman Saha on behalf of Mayor Hon. 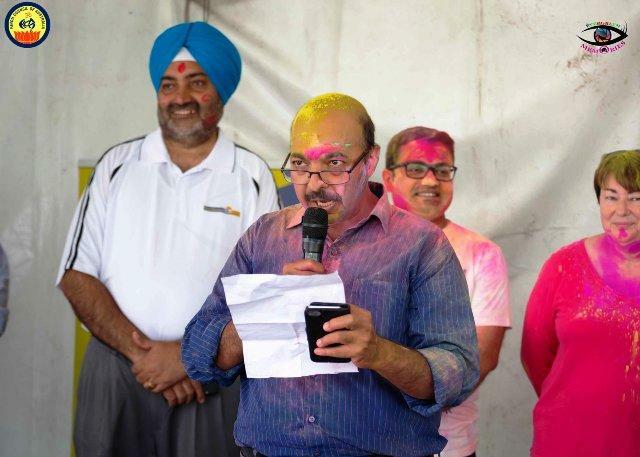 Greg Cummings & Hindu Council of Australia National President Prakash Mehta, State President Jay Raman and National Vice President & Director Surinder Jain by playing ceremonial Holi on the main stage along with other VIP’s, to name a few of the Hon. Members – Acting Consul General of India in Sydney Hon. 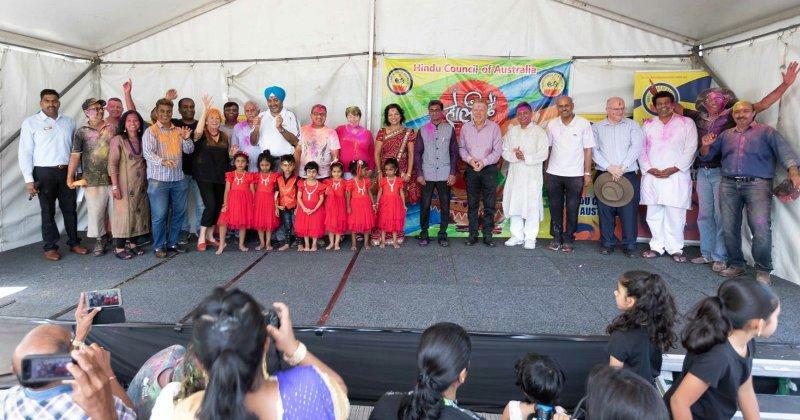 Chandru Appar, Mr Harish Velji representing Michelle Rowland Shadow Minister for Communication, Clr Reena Jethi representing MP Julian Leeser member for Berowra, Parramatta Lord Mayor Andrew Wilson, Cumberland Deputy Councilor Glen Elmore, Clr Lisa Lake, Clr Moninder Singh. This was followed by playing Holi with beautiful colours in the dedicated colour playing area. The environment was filled with scintillating Cultural Programs by scintillating music and performances, Punjabi dhol (drums), DJ music lead by Sydney Punjabi School. To add to the flavor, HCA provided free rides for kids and free photo booth for everyone. This is the 2nd year of celebrating Holi by Hindu Council catering to all age groups, at the same venue on popular demand, supported by Cumberland Council and the general public. Kids had a very joyous time enjoying different activities in the park. The Cricket NSW Sydney Thunder Bus was onsite for kids to refresh their cricketing skills and for talent search to encourage youngsters to play cricket. There was a variety of mouthwatering and tingling Indian delicacies catered by the food stalls. The general stalls in the event were also a big attraction. HCA would like to thank all involved – dedicated, sincere volunteers, including the support received from Cumberland Council, stall holders, rides and all Holi enthusiasts. Making it a BIG success and set a new benchmark. 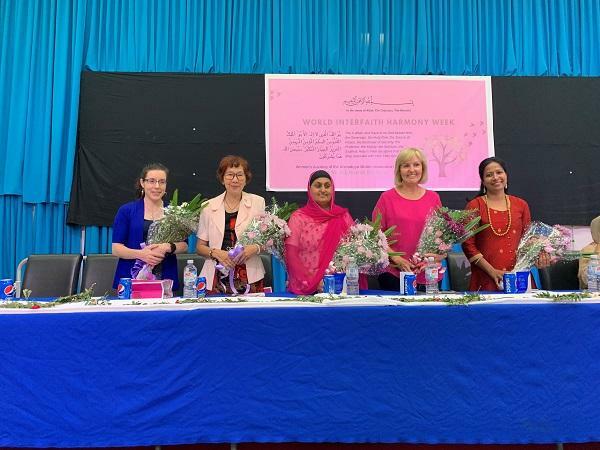 Hindu Council thanks the Media who supported and attended – Indian Link, Punjab Times, Fiji Times, Indus Age, Desi Australia and SBS Radio. 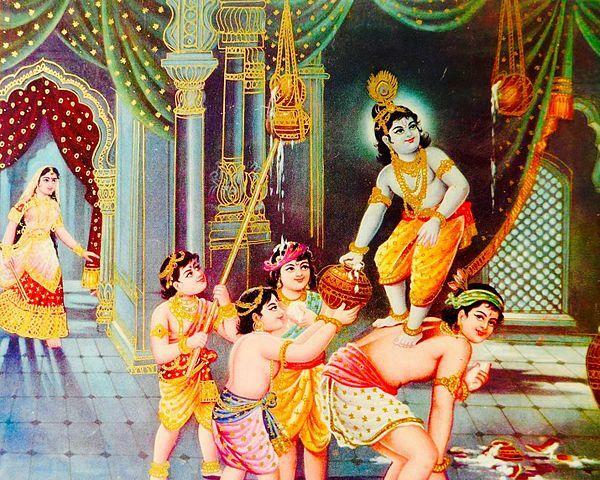 By: Ashwani Sharma and Ajay Khanna (Hindu Benevolent Fund). 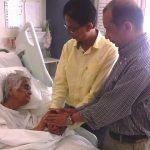 HBF had raised an appeal to pay for the funeral expenses of a Mom ailing with cancer in Hospital. 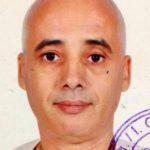 Hindu Benevolent fund – help needed for Funeral expenses. We are sad to report that Mum has passed away and the money collected by HBF for this purpose, $2,000 is/has been paid towards the funeral expenses. 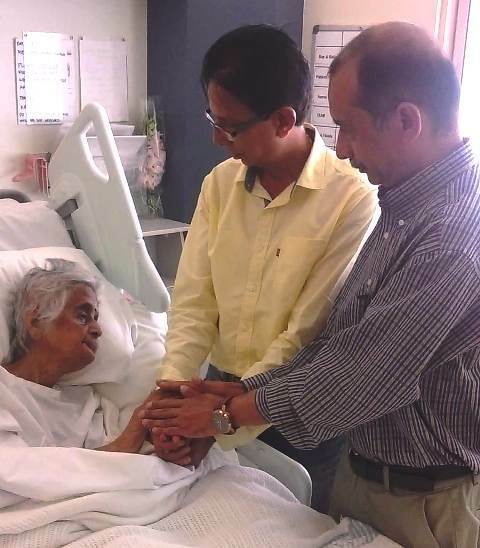 Out of my heart I thank both of u (Ashwani Sharma and Ajay Khanna) and yr great organisation (Hindu Benevolent Fund of Hindu Council of Australia) for yr grateful timely help and came all the way to hospital to see my mum and also taking her blessings. A friend in need is friend indeed. The priest who came is very very good and does not charge much inspite if the fact he is doing a lengthy process every day ..he cam both for washing body and as well as for the funeral and now from 5th day onwards. Once again I am indebted to both of u and will be in touch when I become pure after 13th day after doing all rituals. Till them I am impure and shd not socialise or leave home as much as possible. I follow all hindu rituals as much as possible and am happy that I hv conducted atleast 90 percent of what we wd hv done bk home. 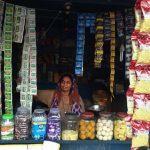 I am sure the blessings of my mom will be with me and all yr organisation and will lead all of us to the righteous path. Certainly …once I am bk to rails after 3.5 years of leaving work for mum…I will be part of yr organisation in not only contributing but also what I can gv bk to the society as now I hv discharged my both responsibilities to my parents and will hv free time. I remain and many thanks to all of u. Thanks. Hindu benevolent Fund is always standing with the community and we hope all of us will work together to look after our community. Sewa hi hum sabka sabse bada dharam hai (Service to humanity is the noble most Dharma). 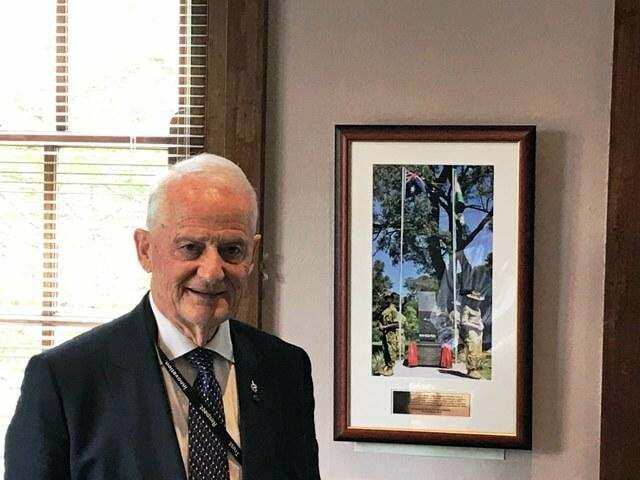 A team of Hindu Council of Australia consisting of State President Jay Raman, State Secretary Ashwani Jain and Director Ashwani Sharma along with Parveen Gupta met Hornsby Council Mayor Hon Philip Ruddock today. 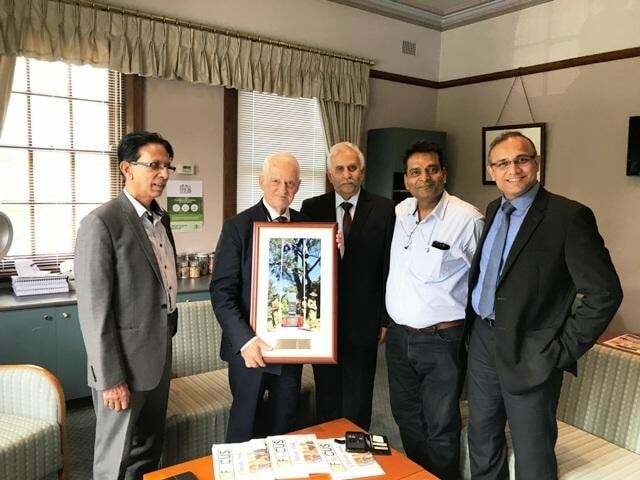 From left to Right : Ashwani Sharma Director, Hornsby Council Mayor Hon Philip Ruddock, Jay Raman NSW President, Parveen Gupta, Ashwani Jain NSW Secretary. 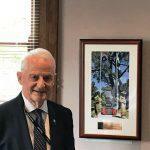 In the meeting it was decided that an ANZAC day service will be held at ANZAC Jawan Cenotaph. The service will be held on 13th April 2019 between 1 to 3 pm.